Bump…bump…bump. Faster and faster becoming a blur of pink, kind of. 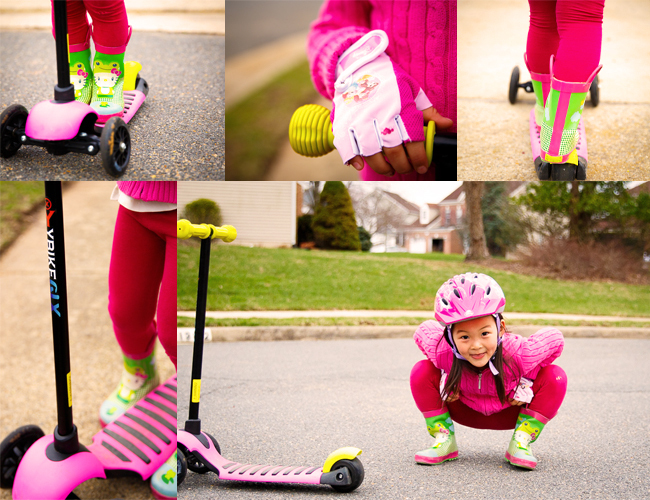 With helmet, gloves and Hello Kitty rain boots she’s invincible. After a few falls testing the edges nothing scares her now. Nothing in the security of our sidewalks and nearby cul-de-sac. 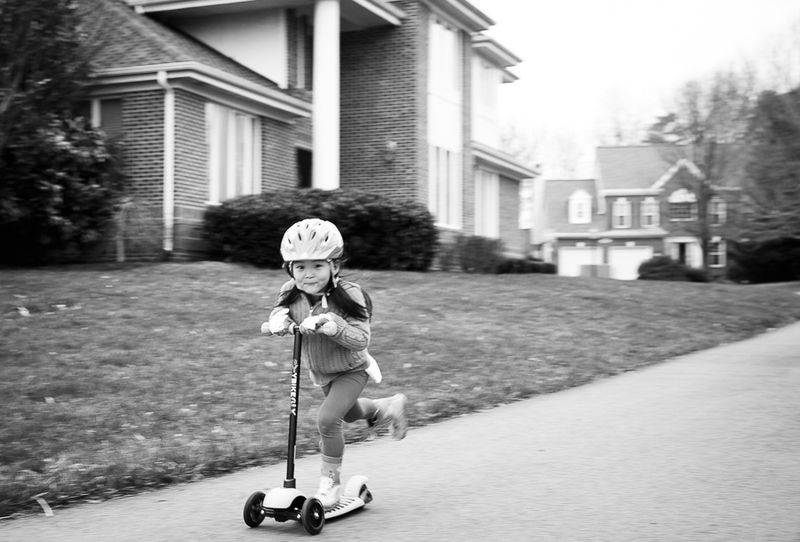 Each day spent scootering further validates the arrival of Spring. so real – I felt Spring blooming reading this post. Love the scooter!!!! Go Penny!